“As in the first quarter, we were confronted with significant currency headwinds and increasing material prices in the second quarter. Currencies negatively impacted our reported sales with 6.1 percent or about 310 million euros. Our operating profit and earnings per share were also affected by currencies. Excluding the impact of currency effects, we delivered a strong operational EPS increase of 7.7 percent,” explained Hans Van Bylen. Henkel has updated its guidance for fiscal 2018. The company confirms its expectation for organic sales growth of 2 to 4 percent for the Henkel Group. Henkel now expects organic sales growth in the Adhesive Technologies business unit of 4 to 5 percent from previously 2 to 4 percent. In the Laundry & Home Care business unit Henkel continues to expect growth in the range of 2 to 4 percent. In the Beauty Care business unit Henkel confirms its expectation of positive organic sales growth of 0 to 2 percent. For adjusted return on sales (EBIT), Henkel now anticipates an increase year on year to around 18 percent from previously more than 17.5 percent. All three business units are expected to contribute to this positive performance. 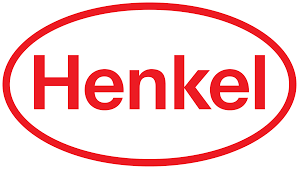 Reflecting the development of currencies and material prices, Henkel now expects an increase of between 3 and 6 percent in adjusted earnings per preferred share from previously between 5 and 8 percent. “The outlook underlines our continued focus on sustainable profitable growth and we are committed to further drive the implementation of our strategic priorities,” said Hans Van Bylen. At 5,143 million euros, sales in the second quarter 2018 reached a new all-time high and grew nominally by 0.9 percent compared to the prior-year quarter. Organic sales, which exclude the impact of currency effects and acquisitions/divestments, showed a strong increase of 3.5 percent. The contribution from acquisitions and divestments amounted to 3.5 percent. This results in a growth of 7 percent. Currency effects had a negative impact of -6.1 percent on sales. The Adhesive Technologies business unit reported a very strong organic increase in sales of 5.2 percent. In the Beauty Carebusiness unit, organic sales were 0.4 percent above the level of the prior-year quarter. The Laundry & Home Care business unit reported a good increase in organic sales of 2.9 percent. Sales growth was also supported by a double-digit increase in digital sales on group level, driven by particularly strong performance in the consumer business units. The emerging markets again made an above-average contribution to the organic growth of the Group, with a very strong increase in organic sales of 5.4 percent. The mature markets achieved good organic sales growth of 2.2 percent. With an organic sales growth of 0.1 percent, sales in Western Europe showed a stable development. Eastern Europe achieved organic growth of 8.2 percent. In Africa/Middle East, sales grew organically by 4.7 percent. North America delivered organic sales growth of 4.9 percent. Latin America achieved organic growth of 6.3 percent, and in the Asia-Pacific region, sales grew organically by 1.9 percent. Adjusted operating profit (EBIT) improved by 1.8 percent from 909 million euros in the prior-year quarter to a new high of 926 million euros. Adjusted return on sales (EBIT) rose by 0.2 percentage points to 18.0 percent. Adjusted earnings per preferred share grew by 1.9 percent from 1.55 euros to 1.58 euros. EPS growth was negatively impacted by currency effects of -5.8 percent. Excluding the impact of currency effects, adjusted earnings per preferred share increased by 7.7 percent. With 6.3 percent, net working capital as a percentage of sales was above the level of the second quarter 2017 (5.2 percent). The Adhesive Technologies business unit generated very strong organic sales growth of 5.2 percent in the second quarter. Nominally, sales grew by 2.6 percent to 2,432 million euros. Adjusted operating profit increased by 1.5 percent and reached 462 million euros. With 19.0 percent, adjusted return on sales was slightly below the level of the prior-year quarter. In the Beauty Care business unit, sales grew organically by 0.4 percent. Nominally, sales increased by 3.8 percent to 1,035 million euros. Adjusted operating profit grew by 4.4 percent and reached 187 million euros. Adjusted return on sales improved by 0.1 percentage points to 18.1 percent. The Laundry & Home Care business unit generated good organic sales growth of 2.9 percent in the second quarter. Nominally, sales amounted to 1,644 million euros after 1,703 million euros in the prior-year quarter. At 295 million euros, adjusted operating profit was 1.0 percent below the level of the second quarter 2017. Adjusted return on sales grew by 0.4 percentage points to 17.9 percent. In the first half of 2018, Henkel generated sales of 9,978 million euros. Organic sales growth, which excludes the impact of currency effects and acquisitions/divestments, was at 2.3 percent. Foreign exchange effects reduced sales by -7.4 percent. Adjusted return on sales improved from 17.4 percent to 17.7 percent. Adjusted earnings per preferred share grew by 1.7 percent from 2.96 euros to 3.01 euros. EPS growth was negatively impacted by currency effects of -6.1 percent. Excluding the impact of currency effects, adjusted earnings per preferred share increased by 7.8 percent. In the first half of 2018, the Adhesive Technologies business unit generated very strong organic sales growth of 5.0 percent. Adjusted return on sales was at 18.5 percent. Sales in our consumer goods businesses were adversely affected by delivery difficulties in North America. The Beauty Carebusiness unit showed an organic sales development of -2.0 percent below the prior-year period. With 17.4 percent, adjusted return on sales was at the level of the first half of 2017. The Laundry & Home Care business unit generated organic sales growth of 1.1 percent. Adjusted return on sales showed a very strong increase from 17.4 percent to 18.2 percent. Effective June 30, 2018, Henkel’s net financial position showed a balance of -3,597 million euros (December 31, 2017: -3,225 million euros).